Bathed by the English Channel, the Penthièvre Coast is located on the eastern shore of Saint-Brieuc Bay. 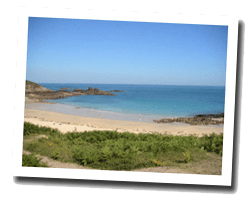 At the seaside there is a choice of beautiful beaches and coves in a wild and unspoilt nature, especially on the Cap d’Erquy. At the seaside you can also find picturesque fishing ports along the rocky coastline. You can admire beautiful sunsets and beautiful views over the Saint-Brieuc bay. On the Côte de Penthièvre enjoy a seaview holiday rental. 3 rooms house 44sq. m with 2 Terraces. 50m from beaches. Enclosed garden with Sea view and barbecue. 800m from shops. 3 rooms apartment 81sq. m with balcony and outdoor furniture. Panoramic sea view 180°. Overlooking the sea, this 57 m2 apartment is close to shops and beach. Panoramic terrace. Price from 670 € to 1600 €. 3 rooms apartment 50sq. m located on the port. Terrace, balcony with outdoor furniture and deck chairs. No smoking. 4 rooms apartment 100sq. m in a new 2 floors residence . balcony with outdoor furniture and barbecue. 5 rooms house 180sq. m with enclosed Garden, balcony and Terraces, beautiful sea view. 200 m from shops, 300 m from the beach. Garden 400sq. m with outdoor furniture, deck chairs and barbecue. no smoking. 5 rooms house 80sq. m. Terrace with view of ST-BRIEUC bay, Dahouet harbor, Verdelet isle. 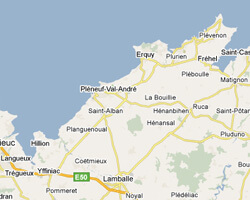 Les Villas du SPA is located in Pléneuf-Val-André, a seaside town on the Bay of Saint-Brieuc. It offers fully equipped self-catering apartments with free Wi-Fi, just 1 minute from the beach.